Outline Spacing. A control for leading in Outline view, i.e. 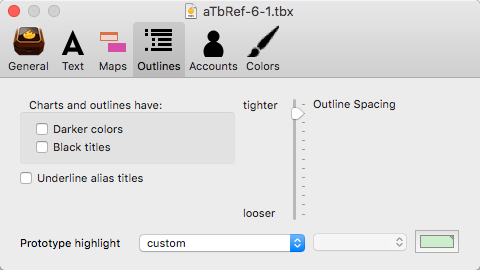 controlling additional space between outline items.